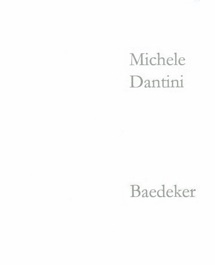 Baedeker is a collection of site-specific projects carried out for Tusciaelecta 2007 in Parco Bardini in Florence. 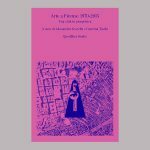 The publication is edited by Arabella Natalini. Artist, critic, curator, Michele Dantini is interested in projects that connect art, political ecology and reflection on the ‘public sphere’. The exhibition projects cross different languages, photography, drawing, installation, video, and seek a dialogue between image and word. They revolve around the experiences of mobility and dislocation on the one hand, and mental processes, on the other.